Looking to make the most of your hard-earned money? Then Westbury Toyota's "The Best Way" rewards program has exactly what you need to get the most out of your budget – and ensure that you always keep your favorite Toyota vehicle in top shape. Whether it's helping you build toward discounts on your next Toyota vehicle purchase or lease to enjoying additional savings at some of the best local businesses here in Westbury, odds are that this unique approach to giving back to the people who matter most to us has something that appeals to you. Interested in learning a little more about what this program has to offer to loyal members of the Westbury Toyota family? Then go ahead and follow along as we dig into all of the exciting details of Westbury Toyota's The Best Way Rewards program. From here, we have no doubts that it won't be long before you are signing up for a membership of your own over on the handy and helpful The Best Way member page and reaping the rewards of this groundbreaking program. Why Should I Join the Westbury Toyota The Best Way Rewards Program? Building Points Toward Your Future – Need to service your current vehicle, buy a repair part, or engage in some other endeavor that brings you through our front doors? Then let us reward you! For qualified purchases at Westbury Toyota, you can earn back 15 percent of each and every dollar you spend as The Best Way reward points. Each point is equal to one dollar in future savings. Flexibility (and Savings) on Your Next Westbury Toyota Purchase – Speaking of future savings, being a member of the Westbury Toyota The Best Way rewards program also gives you the opportunity to save big on your next vehicle purchase. From leases to full purchases, your The Best Way rewards points can help you save up to $2,000 dollars (on top of any other manufacturer's discounts or incentives) when the time comes to get behind the wheel of your next great automobile from Westbury Toyota. The Freedom to Use Your Points as You Choose – We want you to use your points how you choose, so keep in mind that points accrued via our The Best Way rewards program are completely transferable to friends and family members at any time. Additionally, if you'd like to support your favorite charitable organization, just let us know and we'll donate a cash equivalent amount of your points total to the charity of your choice. As you can see, the name of the game when it comes to Westbury Toyota's The Best Way rewards program is doing right by the people that matter most to our dealership. 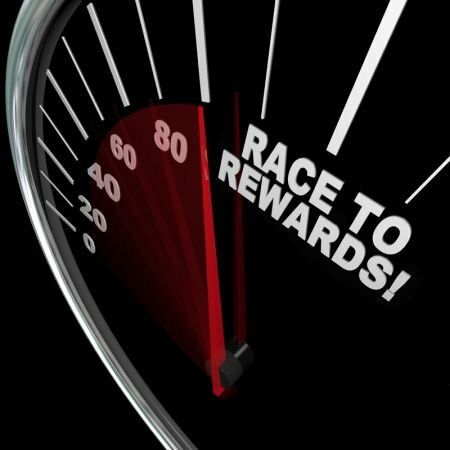 From putting your points toward a great new Toyota car, truck, or sport utility vehicle (SUV) to giving back to the organizations that are near and dear to your heart, it is safe to say that our The Best Way rewards program definitely has something for everyone. $100 in cash or $200 in points for each person you refer to Westbury Toyota who goes on to lease or purchase a new or used vehicle. While offering up numerous straightforward ways to build up your The Best Way points total is a good start, Westbury Toyota is far from finished on this front. For each points milestone you achieve along your journey toward a points redemption, you will also have the opportunity to enjoy complimentary $25 gift certificates that can be put toward future service visits. For a complete breakdown of the gift certificate portion of our The Best Way rewards program, feel free to check out the official The Best Way rewards program page. Member Services – Have a question or need help from Westbury Toyota? Then give us a call or send over an email and the Member Services Team will offer up their support in an expedient manner. Price Match Guarantee – The Best Way members deserve only the lowest prices, so you can trust in us to meet – and beat – any lower written offer you might come across on parts, labor, service, and even accessories. No Lease Disposition Fee – If you want to make a change with your lease (within 15 days of your turn-in date), we'll be more than happy to waive your end-of-lease disposition fee (not to exceed $350). Priority Scheduling – As the name implies, The Best Way members deserve nothing but the best when it comes to service, so go ahead and enjoy the priority service scheduling, reserved parking, and other perks that come with your membership. No Damage Deduction – As long as you lease or purchase your next vehicle from the Westbury Toyota team, we will offer up a $250 additional trade-in value to help you cover any little dents and dings that might have happened along the way. No Excess Mileage Fee – Did you go over your allotted mileage on your lease? Westbury Toyota has you covered via a $250 reimbursement for members who also purchase or lease their next car from Westbury Toyota. Lost Key Return Service – Losing your keys doesn't have to be a nightmare thanks to Westbury Toyota's ability to help return lost keys to you. Please review the instructions found on the back of your The Best Way key tag for more info. Exclusive Offers and Specials – The Best Way members have exclusive access to a steady stream of savings and offers, so be sure to keep an eye on your email as these deals pour into your inbox throughout the year. Towing Reimbursement – Westbury Toyota offers up a $150 reimbursement for The Best Way members who have to pay out-of-pocket costs for a tow on their inoperable vehicle. Additionally, Westbury Toyota also provides its valued The Best Way rewards members with access to personal travel concierge services. All you need to do is have your key tag handy and it won't be long until you're enjoying the savings and convenience that come with taking advantage of your own private travel concierge service. Finally, the team here at Westbury Toyota understands that one of the most important facets of giving back to the people who help make our unique dealership experience possible also involves supporting the rest of our local community here in Westbury and Long Island. Without these businesses doing their part (and your much-appreciated support), it would be virtually impossible to create the outstanding blend of closeness and stellar service that makes our little slice of New York such a truly special place to call home. With this in mind, we have also incorporated a "Keep It Local" Merchant Partnerships initiative into the Westbury Toyota The Best Way rewards program. In doing so, we've unlocked both the ability to support other vital members of our local community and pass on even more savings to you as you pay visits to these featured businesses. Discounts and offers are based on each participating member of this portion of the rewards program, so be sure to always have your membership card or key tag ready to present at the register the next time you drop by one of our affiliated local organizations here in Westbury and Long Island. How Do I Become a Member of Westbury Toyota's The Best Way Rewards Program? After covering all of the information provided here, odds are that you are ready to take the next step and join the growing number of satisfied customers in Westbury that have gone on to become members of the Westbury Toyota The Best Way rewards program. Fortunately, undertaking this process is actually a quick and simple affair. To get the ball rolling on your membership, all you need to do is stop by Westbury Toyota the next time you are nearby and connect with one of our friendly and inviting The Best Way program representatives. Additionally, you can give the helpful button below a click and create an account online. Either way, we have no doubts that joining Westbury Toyota's exclusive rewards program and making the most out of all of the benefits and advantages that come with this decision is something that you will never come to regret. Create Your The Best Way Rewards Account Now!